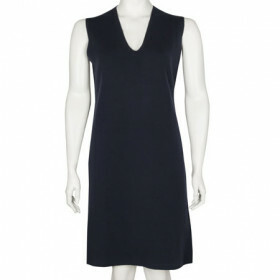 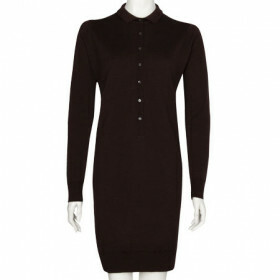 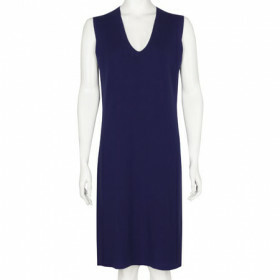 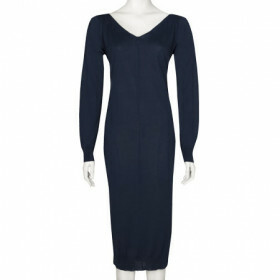 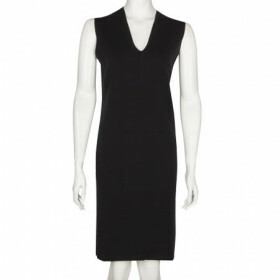 This v-neck dress is sure to become a wardrobe staple. 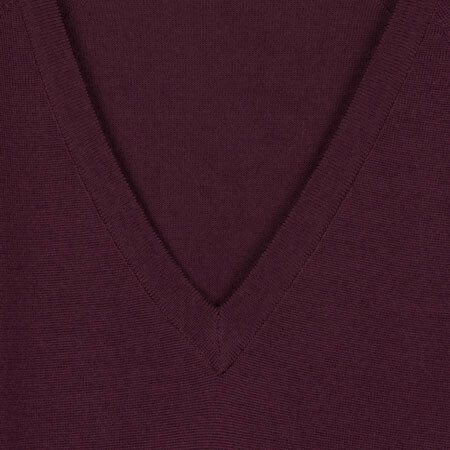 Knitted from extra fine Merino in a medium weight knit featuring an expertly crafted low v-neck, raglan shoulders, ribbed cuffs and open rib hem. 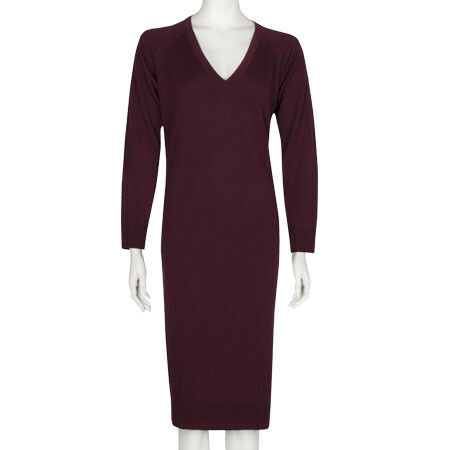 Ideal to wear next to skin or over a roll neck on colder days, pair with a tailored jacket for the perfect day to evening look.